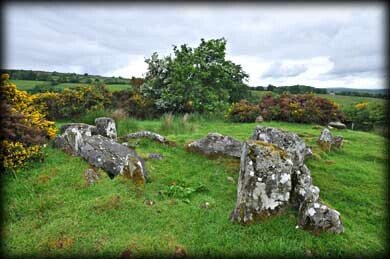 This two chambered court tomb has a 5.5 metre wide court at the northern end, which is the norm for court tombs as they are generally aligned north-south. At the entrance to the gallery are the two portal stones pictured left. They stand 1.2 metre high with over half a metre between them. 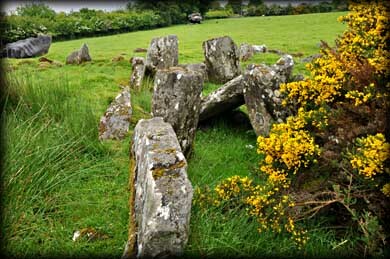 The first chamber is 3.5 metres long and is separated from the 3.2 metre long southern chamber by two jamb stones. 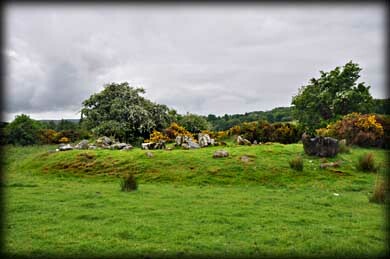 As you approach the tomb from the north you can see evidence of a circular cairn. There are a lot of stones dumped to the east of the gallery which can be a little confusing but these stones are field clearance. 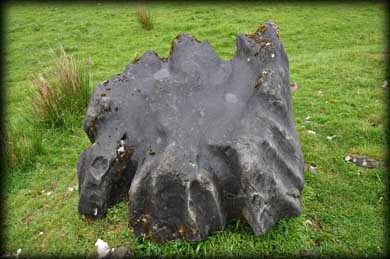 To the west of the court is a large black erratic. One of the most oddly shaped stones I have ever come across. 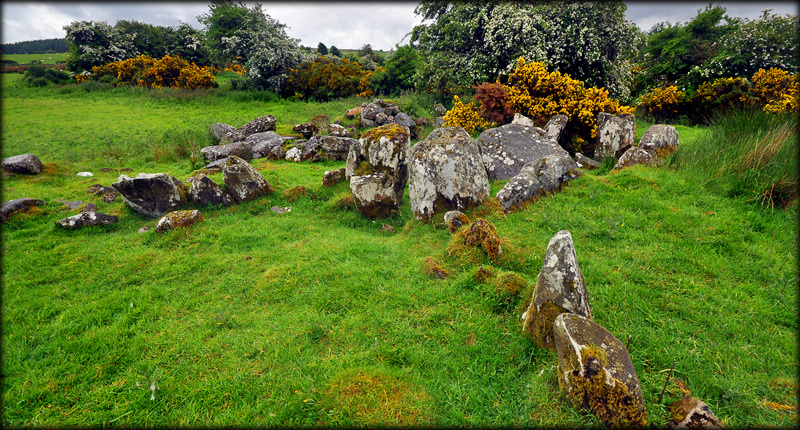 Situated: From Dungiven head southwest on the Magheramore Road. 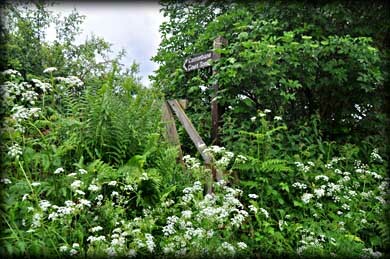 After 2.4 kilometres, keep looking to the left for the wooden stile that leads into the field. Discoverer Map 7: C 6703 0585. Last visit June 2013.